One of the best parts of the Christmas holidays for me is having time. 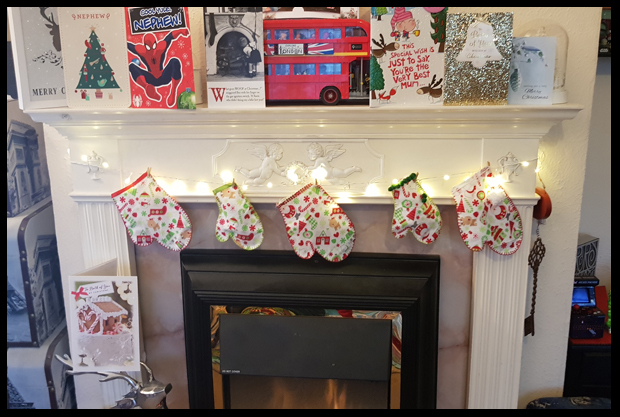 Time to spend with family, to relax and to enjoy the break from the hustle and bustle of the working day. 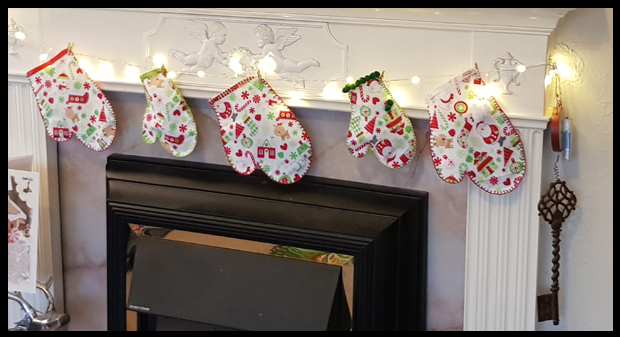 I spent some of my time making keys for my Christmas tree, a Dr Who wreath and mittens for the fireplace (it's a fake fireplace with no risk of catching fire!). 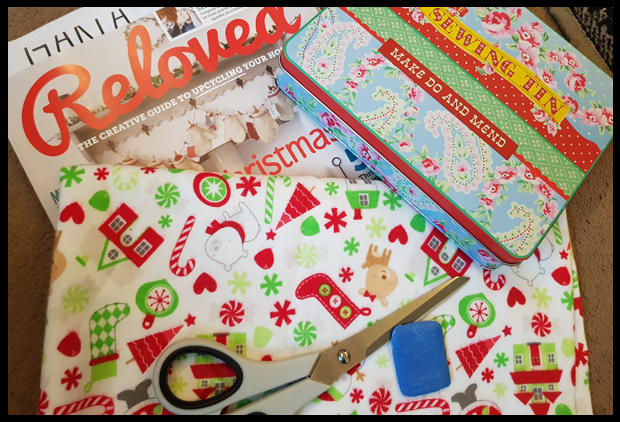 The latter was my most challenging as it involves sewing from patterns, something I'm still very new to. 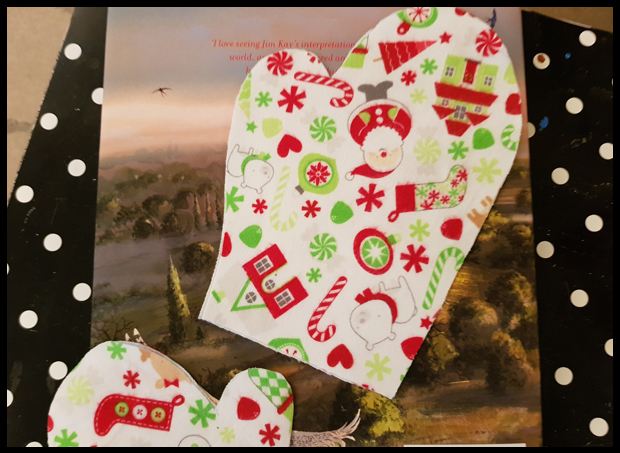 In a recent copy of Reloved, there were instructions and templates to make mittens to be hung up like bunting and stockings and I loved this idea! I'm going to admit that one of the challenging aspects of this project was getting my photocopier to enlarge to 200%. Could I get that mitten in the correct corner and position - pfft after attempt 3!! 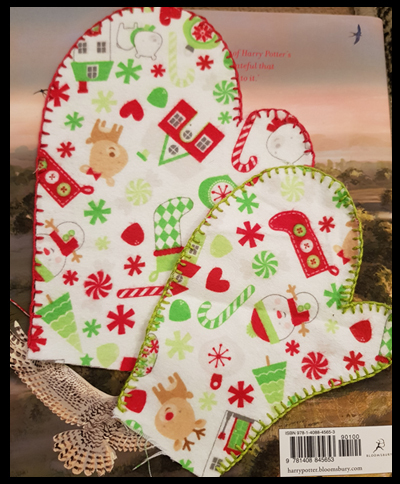 I used my flannel materials from Modes4u as this material just looks like it was made to be turned into mittens. 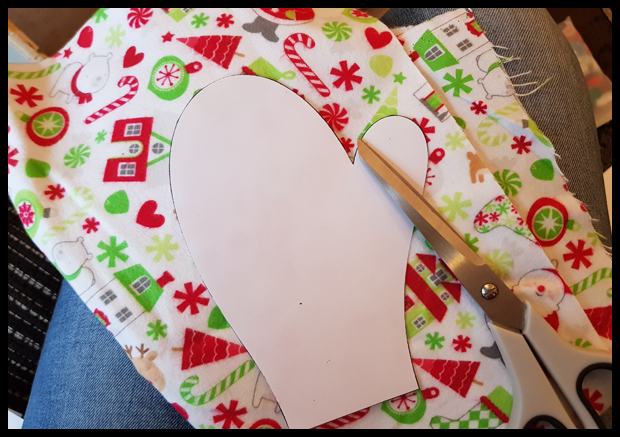 Those who follow my blog will know that sewing in all its forms is new to me, so when the instructions state a blanket stitch, I head over to Youtube! Thankfully the very talented Red Ted Art has a whole section on basic sewing techniques. Rather proud of my efforts if I'm honest! Rather love the look of the blanket stitch and I can't believe I've put off this stitch for so long!!! It makes everything look so defined! 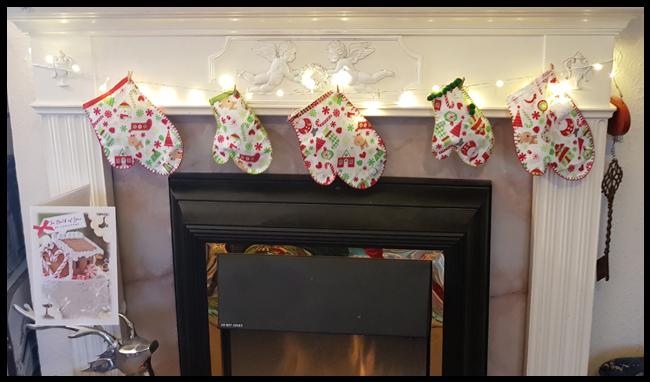 I just needed to give a little decoration to the cuffs and then the mittens were ready to be hung up by tiny little pegs along the fairy lights, you can also use string or twine as suggested in the book, but I'm rather loving all my lights around the front room at the moment.